Rodents – or any other wildlife – in your home and garden not only pose serious health risks but can also damage the fabric and structure of buildings and destroy crops, flowers etc.. In India, rats and mice pose an additional risk. They transmit potentially fatal diseases, such as Leptospirosis (Weil’s disease) and Rat Bite Fever. Rodents are dangerous pests at home. Infamous for carrying deadly diseases and contaminating food in the kitchen, they are known to damage electronics, household appliances, wiring etc. clearzone service is a specialized rodent management system that offers multiple control technologies. We Are Specialist In Rodent Control. CONTROLHouse Rats are small animals with strong bodies, short limbs and long tails. Rodents are the largest group of mammals. Now a days, house rats have become most dangerous insects. 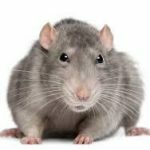 House Rats population grow very quickly, so it is better to target them before the rodents population gets exceed by taking some preventive methods. If you’re in need of rodents control services, here is a way, our team will prevent this by taking some effective treatments with least impact on the environment. The ClearZone Man can come periodically to monitor your Premises and help prevent an infestation with RODENTS. Wonderful post and such a fantastic information that you gave to us. Thank you so much for it. You made a good site and also you sharing the best information on this topic. I am impressed with your site’s blog. Thank you all.